Actor Max and the rich maiden, Giovanna often meet in the house of Michele, an arid writer, and his wife Nina, and talk about many things, but above all about love. Giovanna is in love with Michele, while Nina betrays him with Max. To revive their relationship, which shows signs of exhaustion, and make it more exciting, Max finds for Nina an exceptional and paid amateur, Rick, a rebel intellectual. It happens, however, that the young protester falls in love with her, to whom he declares, writes, telephones, until, desperate, he tries to kill himself. The woman saves him and decides to go and live with him. Soon their life in common sinks on the usual rocks, so that he goes to Michael, to return her. Michele does not intend to lose Nina and finds a solution also for Rick: admit him in the clan, make him sit with the others at the same table. 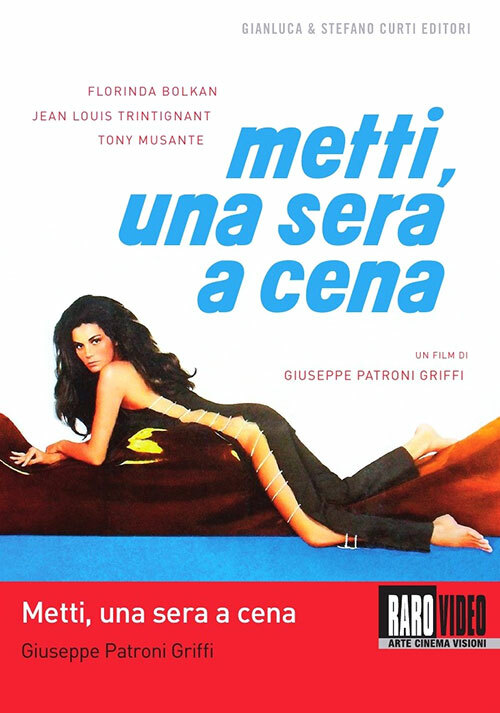 3 Response to "Love Circle (1969) Giuseppe Patroni Griffi"
hello. do you have Aoom (1970) by Gonzalo Suárez? Could you please re-upload Blood & Donuts(1995)? Hi my friend. I hope you are OK. I have been looking for this Japanese series for some time now with no luck. Actually I found only the first two, and the last is not hard to find. The rest are either not found at all or only with Russian audio. Thank you so much and have nice day.